Tagline: Class Of The Living Dead? Summary: Zombies on Oak Street? Valerie and Mark know there’s something weird about the new after-school club building on Oak Street. It’s blue. It’s shiny. It’s heavily guarded. And it’s surrounded by a force field! There’s something even weirder about the kids who joined the clubs. They act like robots. And they’ve all become so polite it’s scary! Someone is brainwashing the sixth-graders of Shadyside. Turning them into glassy-eyed zombies. Are Val and Mark next on the list? 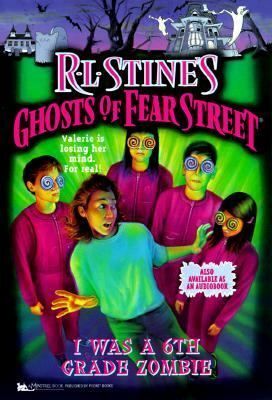 It’s back to school time, so let’s focus on a very special entry in the “Ghosts of Fear Street” series. This is another book that took me by surprise with how much I loved it, which shouldn’t surprise me because it was written by the same woman who wrote “Why I’m Not Afraid of Ghosts.” It’s got one of the best main characters I’ve seen in these books so far with a plot that really breaks from the norm of the usual GFS books. It’s also got some of the most disturbing conversations I’ve come across in the entire series. You might see some similarities to one of the books I reviewed last year, but I won’t say which. Summary: The Ghosts With The Most! 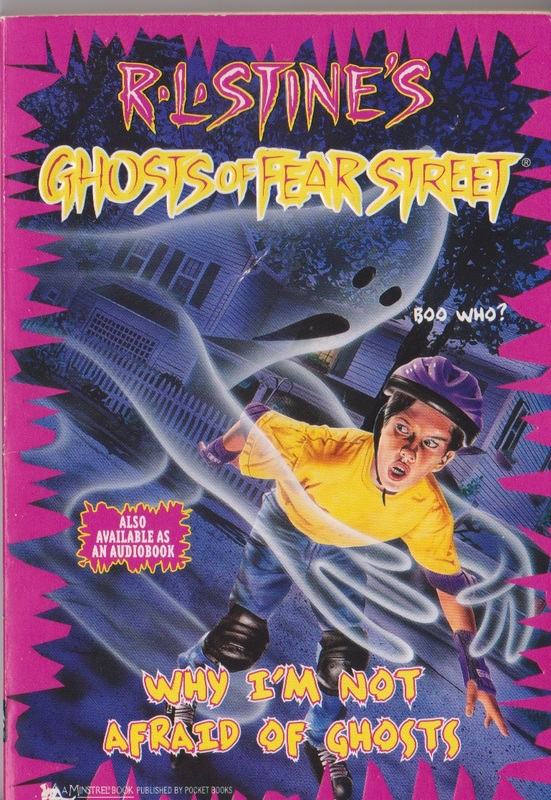 Robbie and Dora are the spookiest ghosts on Fear Street. At least, they think they are. Until Oliver Bowen moves into their house. Oliver can’t be scared! The kid has an explanation for everything. The sheet rising off a chair all by itself? Only the wind. The howls and moans at midnight? His sister having a nightmare. The horrible face in the attic window? Just a weird reflection. But Robbie and Dora have a plan. A plan to scare Oliver out of his socks – and out of their house for good! I’ve had a recap in mind for this one since last year but I had trouble fitting it into the schedule. 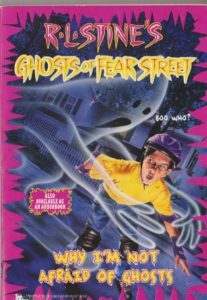 I managed to purchase this book back when there were a handful of “Ghosts of Fear Street” volumes still in-stock at Barnes & Noble. I remember ordering this one because it’s the only one that seemed interesting. It truly is one of the best in the series because it’s one of the few books told from the point of view of the villains, even though Robbie and Dora aren’t really that bad. There’s a whole set of rules established for what they can and can’t do as ghosts that’s not really explored in the other books. Nina Kiriki Hoffman is believed to have also ghostwritten two entries in the Goosebumps franchise, specifically “Return of the Mummy” and “Deep Trouble II,” even though Stine claims he wrote all of the books himself. 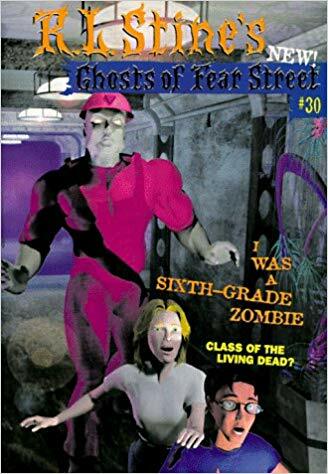 I haven’t found any info that denies or confirms that info, but I do know she also wrote “I Was A Sixth Grade Zombie,” a later entry in this series which I also love and will be recapping in September. Fair warning Wing, Oliver has a pet tarantula, but it doesn’t feature too heavily into the plot. Posted in Fear Street Recaps | Tagged adults are useless, author: nina kiriki hoffman, awesome lead characters, comments by wing, recaps by jude, supernatural oooooh!